Audio Earz AUD-5X: While the more nid-forward, detailed, and punchy 8X has a somewhat enhanced response at both ends of the spectrum, the 5X is brighter and more bass heavy. Due to the more laid-back sound, the 5X has a more open and airy feel, but the 8X can project further in all directions due to a larger overall space. Technically, the 8X is superior to 5X in every way with a cleaner, clearer, and better articulated sound. The presentation of the 8X also changes more on a track-by-track basis, presenting with more accuracy. The 8X is also more forgiving of poor quality tracks than the 5X. Bass of the 5X is more prominent than the 8X, however the 8X is more capable of sustaining deep bass notes and punches deeper while retaining better clarity and more detail down low. The mid-bass through the midrange is cleaner and clearer, presenting more detail that is easier to hear. Voicing is quite similar, but the more prominent upper midrange of the 8X adds a softer tone to vocals. Treble is more prominent with the 5X, although the 8X has better extension and a more refined note. The 5X is a nice starting point for CIEMs, and the 8X is a minimal cost upgrade. Whether you save for the 8X, or get the 5X for enjoyment now and get the 8X later, you have options within Dream Earz product line. ACS T1 Live! : Both have a similar overall note presentation while the 8X is brighter, more mid-forward, and dynamic compared with the more laid-back and smoother T1 Live!. While the T1 has an overall slightly larger soundstage, the 8X sounds larger in general with most tracks. Focus within the soundstage is superior with the T1 resulting in better clarity, if just by a bit while the T1 sounds a bit more tonally accurate with better transparency and coherence, resulting in the ability to disappear more. In contrast, the more dynamic and detailed presentation of 8X results in a punchier, more resolving, and well-articulated sound. The average note thickness of the T1 is more neutral and forgiving compared with the thicker 8X note, but the 8X has a faster attack and more sustained decay capability. When complex tracks are played at a moderate volume, the T1 can become somewhat congested in the midrange area in comparison with the 8X, which can sound thick but maintains the layering and detail levels. Quantity and capability of the 8X in the bass region is superior to the T1 with more punch and note sustainment, although the T1 has better control and layering. Warmth is similar between the two, but the T1 is a bit clearer in the bass region. While the 8X has more forward mids and is more detailed and resolving, the midrange isn’t quite as clean or clear as the T1 due to focus within the soundstage. The 8X does also have better instrument separation and layering but in direct comparison the cleanliness of the T1 gives a better sense of realism. Vocal tonality is similar, but the 8X tone is slightly higher due to a bit more upper midrange boost. The treble region is the most divergent as the 8X is brighter and the notes are thinner and more analytical. The more prevalent 8X treble has more detail but is harsher and less forgiving than the laid-back treble of the T1. Sharing similar frequency responses from the midrange and below, the punchy and dynamic Dream Earz AUD-8X is more resolving with more bass capability and a brighter sound for an exciting and involving experience, excelling with fast tracks. The T1 Live! on the other hand has a more organic presentation that doesn’t offer quite the speed or punch, but has a relaxing and natural feel to the sound that will result in less chance of listening fatigue, even at louder volumes. Heir Audio 8.A: While they may share the same number of drivers, the 8.A presents with more enhanced bass and is overall more laid-back and liquid compared with the more detailed and brighter 8X. Presentation space is wider with the 8.A, but the 8X has a bit more depth while the 8.A images better and presents with better focus. Notes are smoother and have a slower average decay on the 8.A while the quicker and more analytical 8X shares a similar attack with similar capability to recreate a wide range of notes accurately. Dynamic range is close, but the 8.A has more punch, especially with bass heavy tracks at a louder volume. Clarity is dependent upon which part of the spectrum is compared, as the bass and midrange of the 8.A offers a bit better clarity while the treble of the 8X are clearer. Detail and resolution levels are higher on the 8X, but transparency and coherence are superior with the 8.A. While the 8.A is more forgiving of poor tracks, it is more susceptible to sharp S’s. With bass presentations that aren’t too far off, both have enhanced bass, but the 8.A has more with better punch and is slightly more capable of sustained reverb. Overall quality is better with the warmer 8.A. Both offer thick midranges, but differ in how that thickness can mask the spectrum, with the 8.A having a more consistent thickness while the 8X thickness changes from track to track. The superior imaging and instrument separation of the 8.A provide an overall cleaner sound. Voicing of the two is quite different, as female vocals sound more natural and accurate on the 8X due to the upper midrange, while the 8.A has a nasally quality in comparison in addition to the sharper S’s. Male vocals are of similar quality, but the 8X puts more emphasis on the upper midrange, giving a bit more air to male vocals. Treble is more prominent and detailed with the 8X, but isn’t as smooth as the 8.A, which has superior note decay in this region. Offering more of a compliment than a competition, the mid-forward 8X offers an analytical sound with a relatively neutral presentation across the spectrum. In comparison, laid back 8.A has more bass emphasis, smooth but casual treble, and different vocal voicing. While the 8.A performs at a higher level, they aren’t too different technically and your decision between the two should come down to preferred sound signature. Lear LCM-5: The 8X has a richer, thicker presentation in comparison with the brighter, more laid-back reference sound of the LCM-5. Spatially, the LCM-5 has slightly better presentation depth and focus within the soundstage while the width and imaging are equal. Dynamics and detail levels are significantly different with the 8X resolving more detail and provides greater dynamic range and a quicker attack resulting in a more exciting sound. The LCM-5 is more coherent and transparent with better clarity as the average note on the 8X is thicker in the bass and midrange, but the treble is more analytical on the 8X. Both present poorly mastered tracks equally well, but it depends on the track as to which sounds better. Bass weight is very different between the two as the 8X has a bass boost while the LCM-5 is quite neutral with better quality. The 8X is warmer and that warmth continues up to the thicker midrange, which is more mid-forward on the 8X. Midrange details are easier to hear with the LCM-5 even though there is less detail and the 8X has better layering. The LCM-5 frequency response is more linear from top to bottom, and this remains the case from the upper midrange on up, even though the LCM-5 is brighter. The LCM-5 is a bit smoother in the treble while the 8X is more resolving with better treble note decay. Comparing with the optional adapter cable for the LCM-5, the presentation becomes even further apart as the LCM-5 is brighter and more analytical, but the detail level improves at the expense of dynamics. With different purposes, the LCM-5 is a neutral reference source with a sound on the brighter end of the spectrum vs. the warmer, richer 8X. The LCM-5 will please those that want to study the music and/or prefer a more neutral frequency response, especially in the bass region while the 8X provides a more dynamic, punchy, powerful, forward, and engaging presentation. Logitech Ultimate Ears In-Ear Reference Monitor (IERM): The 8X is thicker and more mid-forward in comparison with the brighter, more analytical IERM. While having a more up-front presentation, the 8X has a slightly wider soundstage while sharing a similar presentation depth and offers a bit better focus within the soundstage. Even though the 8X has better focus, the IERM has better clarity due to the quicker note decay giving a more analytical sound while having slightly better capability to recreate a wide range of notes. Detail levels and overall resolution within the soundstage are higher on the 8X, and the presentation is a good deal more dynamic and punchy. Integration between the drivers of the 8X is good from a frequency response standpoint and a bit superior to the IERM, but the difference in note thickness allows the IERM to pull even in transparency. The 8X is more forgiving of poorly mastered tracks as the IERM treble is very unforgiving in general. The bass region of these two is very different as the 8X has a good deal more quantity and presents with more authority, enhancing and sustaining deep bass notes in a way the IERM can’t. But, the IERM bass quality is higher overall, presenting bass with better clarity. The IERM has a slight warmth to it but the 8X is noticeably warmer in part due to the thicker note, which carries into the midrange. Both have good layering and presentation depth, but the closer perspective of the 8X results in a more engaging and enveloping experience in contrast to the relatively detached presentation of the IERM, which enables a better evaluation of the music. Tracks mastered with extra warmth can become very thick with the 8X, reducing clarity but maintaining layering and detail, albeit behind a veil. The upper midrange is similar between the two, but the IERM does have a bit more energy leading to an overall brighter tone. Treble of the IERM is boosted in comparison with the smoother yet more detailed and forgiving 8X. Made for different purposes, the 8X has a presentation that is full, fun, and balanced, with great dynamics and an engaging mid-forward sound while the IERM has a brighter reference sound that allows you to hear the presentation for what it is and separate yourself from the experience for evaluation of the music. Bass capability of the 8X is greater at the expense of refinement, and notes have a thickness and weight that reduces the relative clarity, but overall the 8X performs at a bit higher technical level than the IERM. Hidition NT-6: These two are different in many ways with the brighter, laid-back NT-6 presenting with what I consider a neutral “reference” sound in comparison with the richer, warmer 8X. The more mid-forward 8X presents with more average width and better depth of presentation while the NT-6 has a wider overall presentation with spacious tracks. Imaging of the NT-6 is superior in large part due to better soundstage focus and coherence between the drivers, leading to better transparency and a cleaner, clearer presentation. Both offer high levels of detail and resolution, but the NT-6 offers more. Notes of the 8X are thicker than the NT-6, especially in the midrange, which allows the NT-6 to present a clearer picture of the music. The NT-6 has the ability to recreate a wider range of notes more accurately, leading to better tonality overall, and while dynamic range of both is similar, the 8X is punchier in general. The smoother 8X is more forgiving of poor quality tracks. Bass of the warmer 8X is enhanced and punchier in comparison with the close to neutral NT-6, giving a better sense of power to the 8X while the NT-6 bass is cleaner and clearer. The deepest register of the NT-6 are slightly boosted relative to the rest of the bass while the 8X has a bit of roll off in comparison, resulting a different bass tonality. The more forward midrange of the 8X makes the presentation more of a personal experience, but superior instrument separation and better detail articulation from the NT-6 offer a clearer window into the music. With more emphasis in the upper midrange and treble, the NT-6 has a brighter tonal balance, but the less linear 8X can make certain frequencies more forward and brighter. 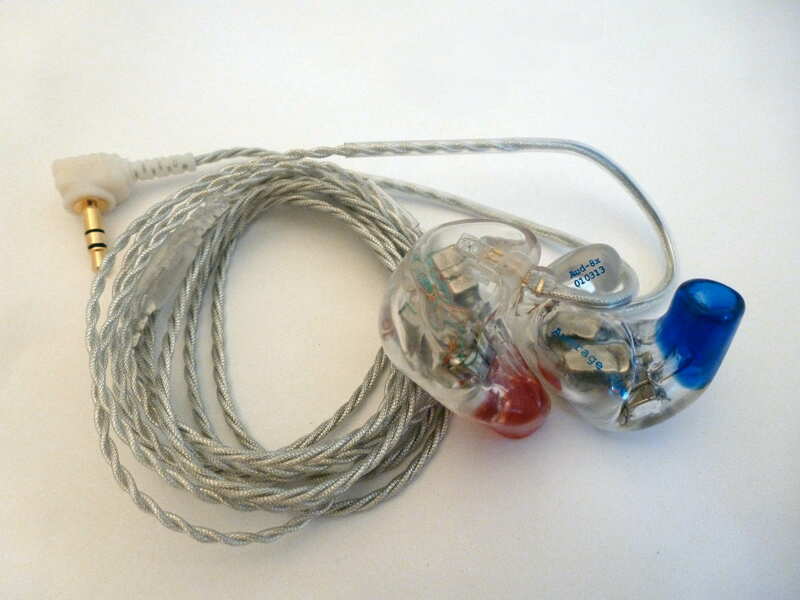 Treble of the NT-6 is superior in extension, smoothness, and refinement. With very different sound signatures, both serve different purposes. The NT-6 is more of a sterile, neutral reference design that is a great tool for monitoring while the 8X takes an enveloping and enhanced approach for a fun but colored sound. The 8X conveys more power and weight in an enveloping way at the expense of the razor sharp focus and clean and clear presentation of the NT-6. Hidition NT-6 pro: Both offer boosted bass and north of neutral treble, but the differences end there as the tonality, note presentation and style differ considerably. The 8X is more mid-forward compared with the larger sounding NT-6 pro, but the NT-6 pro soundstage size changes much more with each track which affects how they sound in comparison. Note presentation of the NT-6 pro is more analytical on average, yet more capable of both speed and sustainment, which results in a clearer and more precise presentation that is more detail with higher resolution. While punch and dynamics are similar, the NT-6 pro is more capable overall. With fairly significant differences in clarity, transparency, and coherence, the NT-6 pro offers a different level of refinement and clarity to “see” into the music. The 8X is more forgiving in general, except with thicker mastered tracks. Bass of both is enhanced but in different places as the NT-6 pro focuses the boost in the deep bass while the 8X boosts the entire bass region, resulting in a different tonality and experience. When reproducing deep bass, the NT-6 pro bass sounds significantly more powerful, but at the same time cleaner, clearer and more controlled, but is a bit cold in the mid-bass region in comparison. The midrange of the NT-6 pro is more laid-back, yet presents with better clarity and ability to hear detail within the soundstage even though the 8X has better layering and more depth of presentation. The upper midrange of the two is similar, but the treble of the NT-6 pro is a good deal more enhanced than the 8X, which can lead to an unnatural sound with some tracks that already have enhanced treble. Treble quality of the NT-6 pro is superior with better note decay and a smoother yet more detailed presentation. Both the AUD-8X and NT-6 pro are designed with a bit of added fun and have different things to offer. The 8X is warmer and thicker with a more up-front presentation that accentuates the bass region but still offers a balance across the spectrum and good soundstage space. The more technically capable NT-6 pro enhances both bass and treble at the extremes and combines a more laid-back midrange with an extremely clear, precise, and transparent presentation from top to bottom. Rooth LS8: The LS8 and 8X both have warmth and boosted bass, but the LS8 is brighter and more laid-back in comparison with the warmer, thicker 8X. Presenting with similar width even though the 8X is more mid-forward, the 8X manages to offer a greater depth of presentation and imaging. Detail and resolution levels are similar but note thickness differs quite a bit as the more analytical yet liquid LS8 presents detail in a clearer and more intelligible way with superior instrument separation and a thinner, more neutral average note thickness. Dynamics are close, but the 8X pulls ahead with a punchier and more capable note sustainment. The 8X is slightly more coherence while the LS8 is more transparent. Both reveal certain issues within tracks the other doesn’t, and therefore how forgiving they are is dependent upon the track. Bass weight and note sustainment capability is superior with the 8X, but the quality of the bass is a bit better with the LS8. While both are warm, the 8X is warmer. The midrange of the 8X is more forward and engaging, but the LS8 presents with more clarity and intelligibility, having a bit brighter tonal balance with vocals while not being overly analytical. The upper midrange is similar, but the 8X is more forward and isn’t as smooth as the very linear LS8. LS8 treble quality is better as notes are smoother and have better decay while matching the level of detail on the 8X. Sharing a warmer sound with present treble, there are differences between the two that easily separate them. The LS8 is more laid-back with less bass and warmth and a brighter tonality to go with a more linear frequency response and more analytical, yet liquid and musical note that offers great clarity. In contrast, the 8X presents is more enveloping and forward with a greater sense of power, but gives up clarity in the process. Both are very capable and offer different flavors for your music. EarSonics EM4: The 8X is more forward and brighter than the more liquid and bass emphasized EM4. Spatially, the EM4 has a width advantage but presentation depth is similar while imaging and focus are superior, and when combined with better clarity leading to better sense of depth and realism. While the 8X only holds a slight advantage in dynamics, the presentation is punchier and more immediate due in part to being more forward. Note attack and decay capability are better overall with the EM4 as notes are more coherent from top to bottom, resulting in a more organic sound and better transparency. The 8X is more detailed and resolving, good or bad. Both have very capable low ends but the EM4 bass is more of an “always enhanced” bass while the 8X only really comes on with bass heavy tracks. The quality of the EM4 bass is a bit higher than the 8X and is more reverberant in general while the 8X is punchier. The EM4 is a bit warmer than the 8X, but the 8X gets thicker than the EM4 moving into the midrange. The midrange presentations are quite different, as the 8X is more forward and resolving in comparison with the more liquid and layered EM4. Vocals have more emphasis in the upper region with the 8X, but the EM4 has sharper S’s. The treble of both is pulled back in comparison with the upper mids and similar in proportion, giving the 8X a quantity advantage. The EM4 treble is smoother and more liquid in comparison with the more detailed and analytical 8X. These two offer different presentations as the 8X is up-front, punchy, and expressed detail in recordings the EM4 smooth’s over, but can sound a bit sloppy in direct comparison. The EM4 is more laid back and liquid with a focus on the overall presentation with a cleaner, more relaxed, and natural sound recreation. Overall, the EM4 performs at a higher technical level. M-Fidelity SA-43: The 8X is more forward, bass heavy, and brighter than the spacious and laid-back SA-43. The wider and more laid-back presentation of the SA-43 provides a feel of being further from the performance, but the soundstage also has more depth and recreates a better sense of room ambiance. Imaging and focus within the soundstage are more precise with the SA-43, providing a more transparent, coherent, and realistic presentation. The 8X has higher levels of detail and resolution as well as a much more dynamic note in the bass, thicker note in the midrange, and more analytical note in the treble. This leads to a more forgiving presentation from the SA-43, but the SA-43 can sound slow in comparison with fast, dynamic music. Bass enhancement is close, but the 8X can sustain bass notes longer, has more punch, extends deeper. The SA-43 is warmer, with a thickness to the presentation, but the thickness is different than that of the 8X, which can put a veil on the sound. The upper midrange of the 8X is much more prominent and the treble is more present than that of the laid back SA-43. The more analytical, detailed, and extended 8X treble can be somewhat harsh at times in comparison as the SA-43 has a very natural treble note decay. The presentations are at opposite ends of the spectrum with the SA-43 presenting from a distant perspective, excelling at recreating the overall presentation in a very spacious yet encompassing way with a more organic, natural sound and gets out of the way of the music. The 8X presents with more punch, detail, and extension on both ends of the frequency spectrum while highlighting detail in instruments and enveloping the listener with its up-front presentation. Lime Ears LE3: The LE3 is more laid-back and has a more neutral frequency response compared with the thicker, warmer 8X. Spatially, they are very similar in size, although the LE3 has a slight advantage in average presentation depth and a distinct advantage in soundstage focus, which results in better clarity and easier to hear detail levels within the soundstage space. With select tracks that have exceptional presentation depth, the 8X does present a significantly larger space than the LE3. Both perform similarly in transparency, coherence, as well as note attack and decay while the 8X is superior in dynamics and detail/resolution levels. Clarity and imaging are superior with the LE3 in large part due to the thinner average note. The LE3 is more forgiving due to the smoothness of the notes, especially the smoother treble notes. The 8X presents with more bass emphasis and sustains bass notes much better but the LE3 bass is cleaner. The 8X is warmer, and this carries to the more forward midrange, which doesn’t sound as clean, clear, or precise as the LE3. Overall the LE3 has a very natural vocal tone with good layering and presentation depth and the 8X doesn’t lag too far behind, but doesn’t separate the layers as well as the LE3. Upper midrange of the LE3 is a bit less emphasized and more balanced with the midrange and treble, resulting in a more linear overall sound even though the treble is a bit brighter on the LE3. Treble quality of the LE3 is slightly higher as it isn’t quite as analytical and sharp. With different presentations, the LE3 is more natural and laid-back both in soundstage location and in note immediacy resulting in a more neutral and linear frequency response and more natural note weight. The thicker, more powerful, and dynamic 8X has a sound that is fun and can pump out much more bass. Dunu DC4: The DC4 and 8X have quite similar sound signatures in the bass through the midrange but differ in the treble region. Spatially the DC4 is more mid-forward while the 8X has better presentation depth and width, but the overall soundstage proportions are quite similar. Both image similarly and have similar focus within the soundstage, but the 8X is slightly superior in both regards. Dynamics, detail, resolution, and clarity are superior with the 8X, resulting in a different feel as the punchier 8X also presents more detail that is easier to hear. Note weight is similar except in the treble, as the 8X treble is much more analytical, and the attack capability of the 8X is superior. The DC4 is more forgiving of poor tracks and presents with similar transparency and coherence. The bass region of these two is almost identical in quantity while the quality of the 8X is higher, with more detail and better control. Both have similar warmth and the midrange of both is on the thicker side. With a larger soundstage space as well as higher resolution and detail levels, the 8X offers better clarity. The 8X has more treble presence and is more analytical and detailed in comparison with the much smoother and more linear DC4. While the 8X has a detail advantage, the DC4 has a more forgiving and natural, if a bit dark, presentation. The 8X is similar to the DC4 in the bass and midrange, although the 8X performs at a higher technical level. The difference is in the upper midrange and treble region, which are brighter and more analytical on the 8X, making the overall performance sound more exciting in comparison with the smooth DC4. Ambient Acoustics AM4 pro: The brighter, more analytical AM4 pro has similar voicing to the more spacious and bass heavy 8X. The larger spatial presentation of the 8X also images better. Detail levels and dynamics are much better on the more expensive 8X while holding a small lead in transparency and coherence. Both have similar note attack and decay ability, but the AM4 pro is slightly clearer due to a slightly thinner average note. The 8X is more forgiving of poor tracks as the AM4 pro is revealing even though it isn’t as detailed. Bass quantity of the 8X is higher and has more deep bass rumble even though the AM4 pro also has enhanced bass. The AM4 pro bass has slightly better bass control, but in comparison it does miss out on the bottom octave with bass heavy music in comparison. Warmth is close, but the 8X is warmer. The midrange presentation is close, but the 8X is more mid-forward and spacious with a thicker note, but the AM4 pro is clearer and more precise. The upper midrange is similar between the two resulting in vocals that are close in both tone and presentation, but the AM4 pro has more emphasis in the treble region while the 8X extends further. From a quality perspective, the 8X treble is smoother and more detailed as the AM4 pro can be slightly harsh in comparison. The significantly cheaper, brighter AM4 pro offers a slightly more neutral presentation that can sound a bit thin in comparison while performing at a fairly high technical performance level. The thicker, richer, more refined 8X outperforms the AM4 pro in dynamics, level of detail, and extension at both ends of the spectrum. 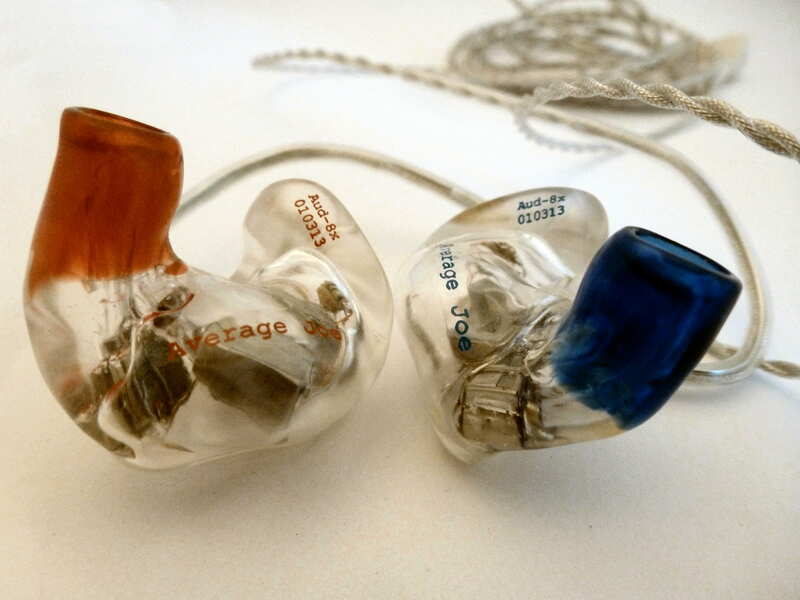 EarSonics S-EM6: The brighter 8X has a very different tonality than the thicker, richer S-EM6. Spatially, the 8X sounds can present a larger space, but it is largely track dependent as both adjust to tracks, but in different ways. The 8X can become more forward, but other times they are close or the S-EM6 pulls ahead. Clarity, imaging, and focus within the presentation are superior on the 8X, and the presentation is more dynamic and detailed while the S-EM6 is more organic and relaxed in general. Technically, the 8X outperforms the S-EM6 in almost every technical category except transparency. With a note that is on average thicker than the 8X, the S-EM6 sounds richer and more organic, especially in the treble region as the 8X becomes more analytical. Both accentuate treble issues with the other, as the brighter 8X can be sharper with poorly mastered tracks while the S-EM6 has a tendency to make S’s sharper. The bass is slightly more enhanced with the S-EM6, which holds a slight quality advantage and both extend similarly. With a warmer presentation, the S-EM6 sounds richer than the more bass-forward 8X. The midrange of the S-EM6 is also thicker in general than the more focused and clearer 8X, while both offer great imaging and depth of presentation. The upper midrange of the 8X has a peak while the S-EM6 a dip, resulting in very different tonal qualities such as vocals on the S-EM6 having more nasally sound, especially with female vocals. Treble of the S-EM6 is more laid-back, smoother, and organic, but the quality falls slightly short of the 8X. The S-EM6 is the universal version of the EM6 and has sound variations which are charted by EarSonics here. The bass and midrange are more similar than different in frequency response with the S-EM6 having more is thickness and richness. The upper midrange is where the difference are significant, presenting very different tonality and giving the 8X a much brighter sound. While the soundstage is similar, the 8X is generally more forward, especially in the upper midrange, although both adjust quite a bit to individual tracks.